I have to admit that I enjoyed this one more than the first one. Maybe it was because Edward hardly has any screentime. Only in the beginning and at the end. 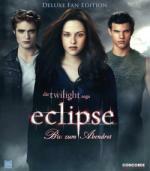 This movie is more about the Werewolves and I liked how they were done here. But I have to say it is sad that these movie's main target audience gets so bad role models. A girl who gets depressed at an alarming degree just because she is left by her boyfriend. I don't really think they are werewolves in these movies. I see them as shape shifters who turn into gigantic wolves - really they are too freaking huge. They call these shapeshifters werewolves here. I have no problem when a movie has its own ideas about what a werewolf or a vampire should be like. As long as they stay true to their own concept and not mix it up from movie to movie. I don't mind differences either for the most part. The sparkly thing is just stupid though. Hmm..well there are differences there..but I think the vampires are more vampire than the werewolves are werewolves. If that makes sense. They're back – and they're not alone. The seductive characters of The Vampire Diaries return for a stunning 5-DISC 22-EPISODE SEASON TWO. This time Elena, Stefan, Damon and the other residents of Mystic Falls are joined by sinister new blood. Released from the tomb, Katherine unleashes her personal brand of evil in a diabolical plot. The Originals – the world's oldest and most dangerous vampires – hunt for Elena, who discovers she has a terrifying connection to their world. And now bloodsuckers aren't the only monsters in town. On moonlit nights, werewolves roam in search of victims... including vampires, who succumb to a single werewolf bite. The Vampire Diaries: unending suspense, undying romance. I started watching this season almost a year ago. But I got bored with it and stopped after the first disc. Now I got in the mood again and continued watching it. And I got sucked in again. I watched the other four discs now in three days. And it didn't bore me for a minute. Now I can't wait to watch the third season. Though I will wait for the price to drop a little more. Alles beginnt ... mit einer Entscheidung. Bellas Leben ist in Gefahr: Seattle wird von einer Reihe mysteriöser Mordfälle erschüttert, ein offensichtlich blutrünstiger Vampir sinnt auf Rache. Und seine Spuren führen zu Bella. Aber damit nicht genug: Sie muss sich inmitten all dieser Geschehnisse zwischen Edward und Jacob entscheiden - wohl wissend, dass damit der uralte Kampf zwischen Vampiren und Werwölfen neu entfacht werden könnte. Bella ist mit der wichtigsten Entscheidung ihres Lebens konfrontiert. Very slow moving and nothing really happens. But strangely I wasn't bored. Far from a great movie though. Both guys are real jerks. So far Jacob a little less so than Edward. I don't regret finally seeing these movies. I guess I will complete the saga when a double-feature of the final two movies is released. Werewolves are introduced in the second season, and they follow the "American Werewolf in London" kind. I.e. once a month with a very painful transformation. The transformation is clearly inspired by the scene in the movie. Good special effects. Especially considering it is done on a TV series budget and time. DER NEUE THRILLER VON DEN MACHERN VON DIE WELLE! Die 20-jährige Lena hält sich durch kleinere Diebstähle über Wasser. Bei einem ihrer Beutezüge durch das nächtliche Berlin trifft sie auf die attraktive Louise, die Besitzerin eines illegalen Nachtclubs. Was Lena nicht weiß, Louise ist die Anführerin eines tödlichen, weiblichen Vampirclans, dem auch die elegante Charlotte und die abgedrehte Nora und angehören. Fasziniert von der attraktiven Erscheinung, erliegt Lena bereits in der ersten Nacht der blutigen Gier von Louise und wird gebissen. Fortan erfährt die einst verwahrloste Lena den Fluch und den Segen ihres neuen, ewigen Lebens. Sie genießt den Luxus, die Partys und die grenzenlose Freiheit. Doch schon bald machen ihr der unstillbare Blutdurst und die Mordlust ihrer Begleiterinnen zu schaffen. 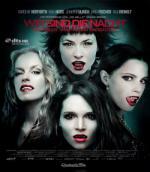 I stumbled across this German vampire movie on Amazon. I never heard of it before. As I am currently in a vampire movie and TV series mood, I ordered it. I did enjoy this movie. Well done. Though I didn't like the acting of some of the cast. Especially Nina Hoss as Louise bothered me. The only actor I knew beforehand was Anna Fischer. She did a good job. Going by the cover I originally expected a silly movie, but it was not. It had very serious themes and was not a comedy at all. Thanks for that! That was surprisingly good. In the last moments of World War II, a secret Nazi space programme evaded destruction by the Allies and made a daring escape to the Moon. 70 years later they have re-colonised, re-armed with devastating new technology and silently plotted their revenge. Witness the ultimate battle for humanity and civilisation as space-age Nazi hordes are unleashed on an unsuspecting Earth. In this time of chaos can the world unite against the Nazi UFO armada, or will history be re-written forever? It is very noticable that this is not a Hollywood production. The Americans are made fun of just as much as the Nazis are. The American president here is obviously a parody of Sarah Palin. I am very glad that they used German actors for the Nazis. If it were a Hollywood movie, they probably would have used actors trying to speak German, or have the Nazis switching to English for the audience's convenience. A very silly movie. I enjoyed it, but I must say I expected a little different kind of movie. 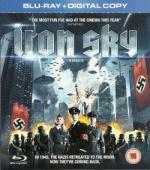 Only towards the end it became the movie I expected, when the Nazi fleet came towards Earth. I enjoyed it, but I must say I expected a little different kind of movie. Only towards the end it became the movie I expected, when the Nazi fleet came towards Earth. I had the same experience. I can't even quite say what I originally expected, but certainly not this much of a comedy Luckily I had been somewhat prepared by a few reviews beforehand. I quite enjoyed it as well. I became curious about this movie when I saw Dianna Agron on the cover. I didn't hear about it before. I enjoyed this movie. The screenplay is by the creators of Smallville (and a writer/producer of Buffy), and this movie had very much a Smallville kind of vibe to it. Seems this is based on a series of books. But sadly the movie didn't fair too well and it looks like there will be no sequel. Which is a shame. I would have liked to see more of it. For me this movie is a bit of a let down. Too many stupid plot contrivances. Like why is Gordon sending all police officers down to the sewers? Doesn't he even consider in the slightest that it could be a trap? Also it feels a lot like rehashing Batman Begins, having Bruce again locked up in a prison where he has to escape from. When I first saw it, I saw it coming very early on, who the main bad guy will turn out to be. This movie could have been easily told in a shorter runtime. Anne Hathaway as Catwoman is great though. And I liked the ending, even though I guessed it coming.